A Jew on display in a Plexiglas box, in Germany of all places, stands as a flagrant provocation. But there he was, surrounded by curious onlookers and a considerable contingent of reporters, photographers and camera crews. Bill Glucroft sat on the white bench with the hot pink cushion in a clear enclosure fielding questions, a living exhibit at Berlin’s Jewish Museum. It was one of many controversies that I covered in my six years as Berlin bureau chief for The New York Times. There was the effort to ban circumcision, beaten back by the German Parliament after a similar uproar. Günter Grass wrote his controversial poem attacking Israel and then there was the Jew in a Box. The display was always meant to be provocative, as were advertisements for the show that played off of anti-Semitic rants, one with a picture of a pothole and the words, “The Jews are to blame for everything.” The motivation by the Jewish curators was obvious: Their exhibition about the everyday lives of Jews, about kosher food and skullcaps, was not the kind of Holocaust-related exhibitions that packed museums. But it was of the moment and significant in its own way. During my time in Berlin the vibrancy of new Jewish life in Central Europe was surprising and encouraging. When I was researching my book on the concentration camp doctor Aribert Heim at Simon Wiesenthal’s old office in Vienna I stayed in the old Second District, which was filled with Orthodox Jewish families, kosher stores and restaurants. Berlin’s tech scene and electronic dance music clubs lured young American Jews and Israelis to the city. In Poland university students were rediscovering Jewish roots buried during the decades of Communist rule. I had the chance to cover the opening of a new Jewish museum in Warsaw, part of a broader-based movement there to restore the important role that Jews had played in Polish history and the large role that Poland’s enormous population played in Jewish culture writ large. Museums are moving further from static commemoration toward promoting active dialogue and understanding. Such a move is not without risks in a world still filled with hate. That’s what makes the fatal shooting at the Jewish Museum in Brussels last month so chilling. Police have arrested a man who they believe fought with radical Islamists in Syria. The shooter killed an Israeli couple, a Frenchwoman who worked at the museum, and a 24-year-old who was a receptionist at the museum. But he was also aiming at something larger: The notion that Jews can live openly and without fear as part of the larger community in Europe. In Hungary I watched the rapid rise of the extreme right party known as Jobbik up close. The recent European Parliament election only added to the sense of anxiety, to the fear that we could be sliding back toward an uglier, more dangerous period. It was encouraging, at least, to see that Germany, where the most effort has been made at education and reconciliation, the voices of extremism were barely heeded. Writers like Yascha Mounk have spoken eloquently about growing up “German, Jewish and Neither,” experiencing a strange blend of anti-Semitism, philo-Semitism and plain old ignorance. Leeor Engländer, a journalist who spent an afternoon in the Berlin Jewish Museum’s Plexiglas box said that the exhibit turned the figurative into the literal. “As a Jew in Germany you live like an animal at the zoo,” he wrote in his article about the experience. Mr. Glucroft chose to handle the issue with humor and cheer. Encouraged, the museumgoers began asking more and more questions. The foreignness seemed to dissipate, and with it some of the otherness. Provocative, maybe even inappropriate, but the longer I stood in that museum, the more I realized that it was effective. I hope that the next generation of young Jews born in Europe will find no contradiction between their religion and their nationality. How the Third Reich spread racism, anti-Semitism and anti-Bolshevism. 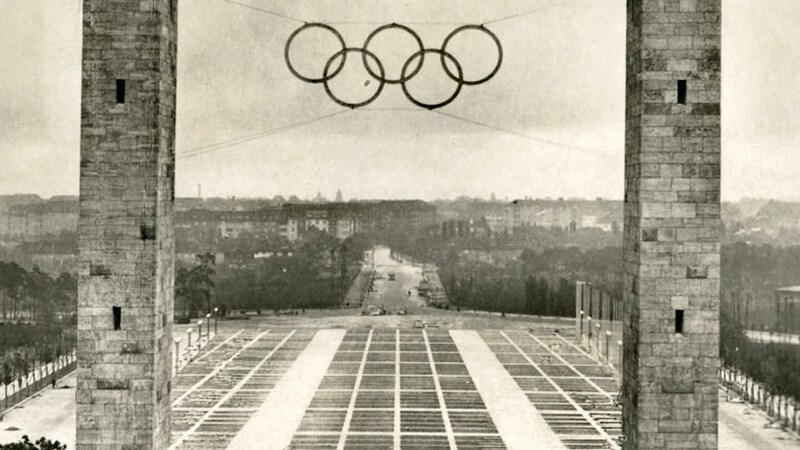 In August 1936, the Nazi regime tried to camouflage its violent racist policies while it hosted the Summer Olympics. From 1600 to the 20th century.